In the next week or so, a slew of missile test-firings will take place. The submarine-launched K-4, which other than its publicized launches has been test-fired a number of times without public notice, will be triggered again. The most important design characteristic of the K-4 are the rocket motors around the nose-cone that literally pull the missile up out of the water. This can be seen in a video — https://www.youtube.com/watch?v=A_feco6vn7E&feature=youtu.be. In it one can clearly see the water being forcefully ejected after the K-4 has cleared the water surface. Those who know say this is a uniquely Russian SLBM design feature to get the missile out of the water and to increase its boost velocity. But, more important still is the Agni-5 — the most significant advanced missile in the inventory, which was supposed to have been fired last Fall, and will finally be tested with another launch. The Kasturirangan metric for induction of a missile after a minimum of three successive and successful test firings means, this missile — absent a snafu — will be ready to enter service as well, firming up the strategic triad. The question is why this sudden spate of missile tests — assuming, of course, the firings actually obtain? The reason for the A-5 not being fired around October 2015, I had speculated then, was to avoid riling Washington. But with the Obama Admin pushing the F-16 sale to Pakistan and generally not sharing the sense of urgency in stifling the Pakistan Army-sponsored terrorist gangs, such as LeT, et al, Modi has apparently decided to flex Indian muscle. The Indian govt’s declining to join Japan and the US navies in exercises in the seas around the Philippines meant to send a clear message to China to rein in its ambitions in the South China Sea followed quickly by the missile launches, is to signal the US not to take Delhi for granted. Whether this is a one-off thing rather than a sustained policy of standing up for the national interest, remains to be seen. After all, Modi is headed for the so-called “nuclear security summit” in Washington — Obama’s diplomatic swansong this month end and what he says there will, in fact, reveal the country’s formal stance. If, as is expected, he’ll join in the nonproliferation chorus then it’ll become obvious he is less keen to preserve the country’s options than in pleasing the West. To show Delhi means business, Modi should green signal preparations for the test-firing of the Agni-6 ICBM able to carry a three-ton payload of MIRVs, the development of which to-date has been, at best, leisurely, at worst, criminal. For too long the impression has been given by successive Indian govts of a pliant India that’s easy to manipulate and, hence, to disregard. Modi should rethink the policy of intimacy with the US and the West, especially if it ends up losing the country its freedom of action. This entry was posted in Asian geopolitics, China, China military, Culture, disarmament, domestic politics, DRDO, Europe, Geopolitics, Great Power imperatives, India's China Policy, India's Pakistan Policy, India's strategic thinking and policy, Indian Navy, Indian Ocean, Japan, Missiles, nonproliferation, Nuclear Policy & Strategy, Nuclear Weapons, Relations with Russia, Russia, russian assistance, society, South Asia, South East Asia, Strategic Relations with South East Asia & Far East, Strategic Relations with the US & West, Terrorism, United States, US., Weapons. Bookmark the permalink. 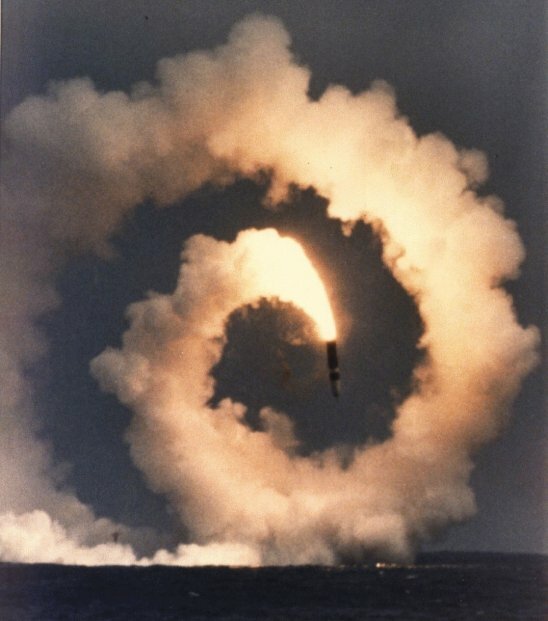 12 Responses to Slew of Missile firings? Sir the recent escalation in Chinese activities on the disputed islands i think is the old chinese policy of keeping the nation together by rousing nationalism in country while its economic chips are down? I think as we see China’s economy further sliding down can we expect a rise in incursions in LAC and patrols to gwadar. It would send a strong message to everyone if the govt tests Agni 6 while Mr Modi is in Washington. Why is the GOVT not commissioning Arihant if it is ready for induction. Maybe resumption of thermonuclear testing would be a more pugnacious option as also a quick transfer of the Brahmos missiles to the Vietnamese.These would really set the “cat amongst the pigeons”. Would make both the USA & the Chinese take us more seriously. Meanwhile cosying up with the Russians, French(apart from the rafale deal)& the Israelis for future defence requirements,with full TOT & manufacturing in country would go a long way in making us self reliant in defense equipment. Much better than pussyfooting around uncle sam , putting up with their incessant demands & holier than thou attitude in return for becoming their vassals. India should give the Vietnamese Brahmos missiles for anti-ship action as well as Akash batteries for setting up on it’s islands to counter Chinese aircraft. Also India must increase the current cooperation in giving training in Kilo class subs which Vietnam got from Russia recently. India should also resume testing of HSTDV hyper sonic missile tech . How is it possible for the K-4 to have been tested in secret several times ? AFAIK there is no way a 3000+ km flight test over the ocean can be kept under wraps: NOTAM and other warnings have to be issued in advance. Of course, pop up tests and such can be done discreetly. As for the predicted series of tests, I will believe it once they are done. Hope GoI dosent back off. An interesting thought: could it be that the terror tap from Pak as well as left liberal assets like NGOs etc are being used by the powers that be to keep India “in line”, the threat being to throw India into a state of anarchy if she steps out of line ? Could this sort of thing be why NaMo is trying to cosy up to the west ? I said K-4 w/o public notice. Lots of very critical things routinely happen outside the media glare. There’s no doubt about external powers using all the levers available to them including such as you mention. Could have gone like this. But hope the ejection mechanism is robust and tested well. If we go by the Kasturirangan committe criterion, has’nt A-5 already had three consecutive successful tests ? Apr. 2012, Sep. 2013 and Jan 2015. How does the criterion change for canisterized systems ? Hope an A-5 test materializes soon. The Kasturirangan standard should logically apply to each of the cannisterized missile systems, but who knows, cost-cutting may intervene. It seems there is much more than it meets the eye, The so called Educated class in India has a problem. I realised the truth that there is so much I do not know about at a much earlier age. The so-called average Indian on Internet is a mysterious creature, ON one hand they simply troll about literally anything, I remember a man claiming to be Professor of International Relations from some University, claiming on TV that he is opposed to the National Flag flying on his University roof top, because it will interfere with his University AUTONOMY, Well India’s Universities run on breadcrumbs thrown in our budget, Read taxpayer’s money. So where is the autonomy coming in. IT is this largesse which makes our students and graduates from Universities Good-For-Nothing. So in essence our so-called educated class has degrees, without any brain development and can easily fall prey to propaganda. We also saw in recent days that supporting terrorists and Anti-Nationals have been accepted as the highest form of intelligence in our Universities, Any one who says ENOUGH is considered a cave man. I wont be surprised if it comes out that India already has ICBMs or the like, How can any Nation which can control a probe revolving around Mars, be stopped from Bombing any part of the Earth ?. Can some one explain it to me?. The launch did seem a bit odd (non-western) with the booster in the nose. But after having watched K-15 launches several times it seems DRDO has worked on both kinds of launch methods. For K-15 the missile breaks the surface very cleanly, then the main booster fires up and then the nose cap fires up. For K-4 the missile nose booster goes off almost as soon as the missile breaks the surface or more probably under the water itself. Only subsequently does the main rocket booster fires up. Now range (hence apogee) and throw weights for both A-3 and K-4 are similar. And most important reasons for range increases (of the type of A-3, as in the above image) is apogee achieved and the trade-off between throw-weight and fuel. So @BK ji would it be reasonable to presume that K-4 too should be able to get the kind of range manipulation that A-3 is expected to achieve? Excellent news, but I’m still hoping that the K-4 is replaced with the K-5 when ready, which offers much greater range.